A print of the obscure and previously missing, believed lost cheapie THE NEST OF THE CUCKOO BIRDS (1965) has been discovered in a collection gifted to the Harvard Film Archive by The Little Art Cinema in Rockport, Massachusetts. There were some obscure 35mm film prints in the theater’s basement that had been collected by a local vaudeville enthusiast and film collector. The cinema’s owner wanted them to go to a good home after he made the inevitable switch to digital. This film conservator is a fan of The Cramps, and we are both fans of underground cinema, so when this title turned up in the Little Art Cinema Collection, I was intrigued. Sometimes it’s obvious when one discovers a lost film, other times it takes some digging, not to mention a curious nature. Plenty of films come into the collection here without getting thoroughly researched. Some lost films have gone into storage, where they’ve remained safely hidden, only to be discovered by outside researchers who are looking for something in particular. Lost films don’t just declare themselves. In this case, I wanted to know more about this title, so I did some digging online. There aren’t many films you look for online and find almost nothing about. At the time, the IMDB page had a line by a user that noted the film was probably lost. This, coupled with almost no information about it anywhere else, with the exception of some reproduced ephemera, led me to realize I had discovered something quite rare. I looked through the print on the rewind bench and was instantly in love. The horrible lighting and ridiculous makeup spelled pure cinema gold to me. Many film lovers would instantly write this one off, but fortunately for you, I’m a fan of low-budget and underground cinema. THE NEST OF THE CUCKOO BIRDS was made in Florida in the 1960s. Exploitation legends Doris Wishman and Hershell Gordon Lewis (among others) were also making their weird and unique films in FLA at this time. It must have been a great time and place to be making movies! Bad lighting and bad makeup are hallmarks of homemade filmmaking, and seeing the shadows and makeup you see in the frame enlargement above gave me chills. You just don’t seem them like this very often anymore. Convincing people with money to preserve films like this is not easy. Fortunatley, the HFA’s director gave the film a chance once he discovered non-exploitation director Nicolas Winding Refn was dying to see it. Sometimes it takes celebrity interest to get things done in this cynical world. The print was sent to California, where the dedicated Peter Conheim did some magic with it, cleaning up some weird edits and re-organizing everything. The result was scanned at 4k. Director Bert Williams (who also stars) died a while back, but his family was tracked down and consulted regarding perhaps re-issuing the film digitally. Refn is planning to stream the film as part of an as-yet unrealized streaming platform which will include another classic of trashy Floridian film, SHANTY TRAMP. The collection from the Little Art Cinema includes some other rarities, including 35mm prints of THE END OF THE LINE (1957), WILD HARVEST (1962), FEAR NO MORE (1961), RUN ACROSS THE RIVER (1961) (another found, possibly believed lost film), and SO LITTLE TIME (1952). It also includes a number of hard and soft-core pornographic films. Whatever comes to pass, I hope something happens with THE NEST OF THE CUCKOO BIRDS and you get a chance to see it. I found the print in 2014, and have been frustrated by the lack of publicity surrounding its resurfacing. I’m leaving Harvard at the end of this month, and am sad it never really got its due. I’ve watched it a few times and find it hopelessly charming in its inadequacies and weird plot. Give me a cheap independent film from the middle of the 20th century over a 21st century digital blockbuster any day. It doesn’t lose its grimy shine. UPDATE: This was streaming on MUBI in November – nobody ever tells me anything around here! This entry was posted in Archivists' pick, Local interest, lost film and tagged exploitation on May 21, 2018 by conservator1. In the late 1950s, theaters were looking for gimmicks to pry people away from their television sets and get them into cinema seats. We’ve all heard of the resulting innovations of widescreen, 3D, and William Castle-style exploitation, but what about games on the big screen? In 1958, you could go to a special show at your local cinema that combined a film with a game. Although we are not sure exactly how this played out, it appears a double feature would be regularly interrupted, presumably at the reel change (every 20 minutes) by a segment of the game. Divided into ten parts, a sequin-clad woman on the big screen would pull a ball from a tumbler, and a quintessential 1950’s man would call out the number, a-la bingo or powerball. This “scientifically calculated” process would end when there was a possible winner in the audience, bells would ring, “MOVIE” would flash onscreen, and the movie would return. One would have to wait until the 10 parts had played out to bring winning cards to the lobby to claim a prize. 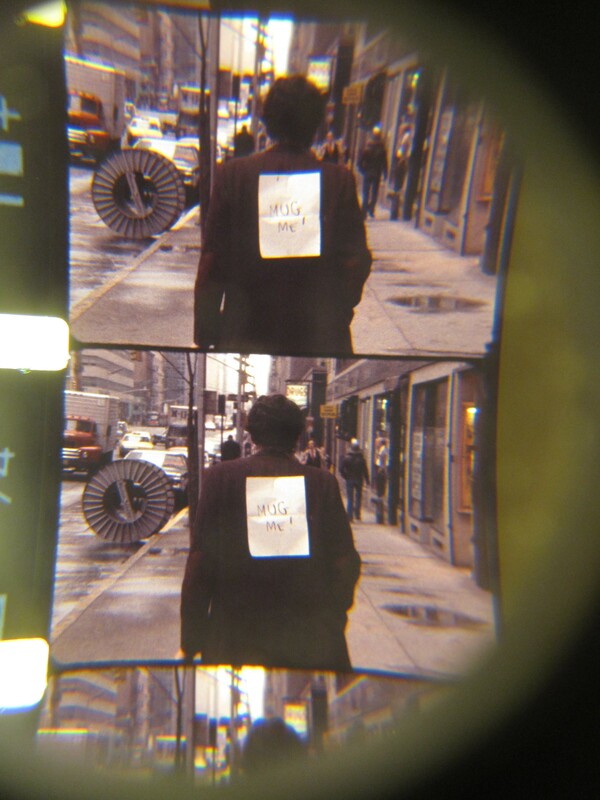 This film is from the Little Art Cinema Collection at the Harvard Film Archive. copyright entry for this game. PLAY 'MOVIE' AT THE MOVIES. 1 l/2 reels, sd,, b&w, 35 mm. This entry was posted in Archivists' pick, ephemera, new collections on February 27, 2018 by conservator1. October is the time each year when archival institutions across the country celebrate American Archives Month! Once again our crew here at the Film Conservation Center will be joining the revelry with participation in #AskAnArchivist Day on OCTOBER 5! Write to us on Twitter @HLFilmPreserve with the hashtag #AskAnArchivist with your burning questions: What is the oldest item in your collection? The strangest? What is the best way to preserve my family films? Where do you store your films? How are you preserving new materials? Want to know? Just ask and we’ll do our best to answer! Many thanks to the Society of American Archivists for organizing this virtual event. This entry was posted in Archives, Archivists' pick and tagged #AskAnArchivist, American Archives Month, Online event on September 30, 2016 by conservator3. As the world waits impatiently for the new Star Wars film, we take a look at the old one. This is a Super 8 condensed version of Episode IV, made for the home market in the dark days before everyone had a VCR. Instead of the entire film, you could watch the highlights at home. The condensed version is around 20 minutes long, and the storyline is sort of carried, but all we see are the action sequences. It really warms our hearts when our jobs as archivists make a difference. This entry was posted in Archivists' pick, super 8 on December 17, 2015 by conservator1. This entry was posted in Archivists' pick, new collections, Soviet Film Collection on June 19, 2015 by conservator3. 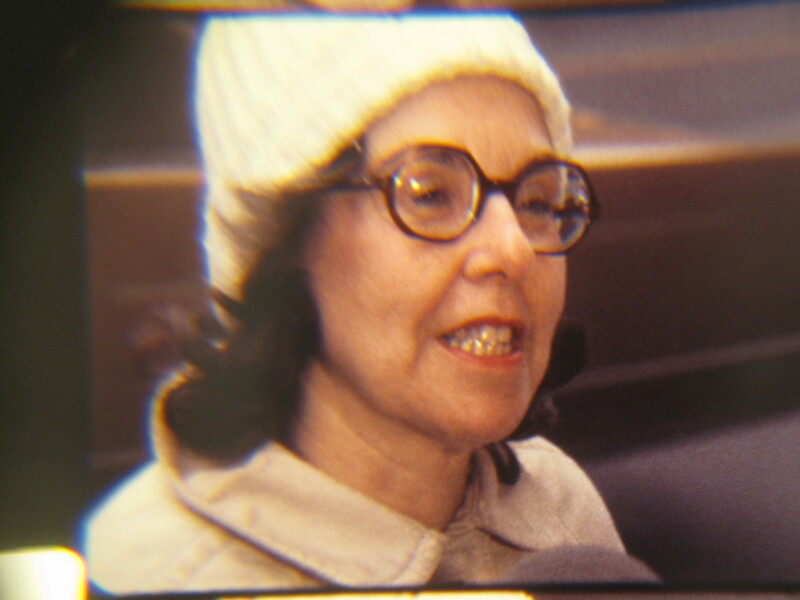 Just in time for April 1, this 1973 short news piece from NYC Channel 2 WCBS-TV was at the top of our 16mm film inspection queue today. This cyclist wants pedestrians to watch the traffic lights! Disappointed that his interviewees were “so serious” in their responses, the reporter turned and showed his own April Fools’ Day humor, in true New York fashion. 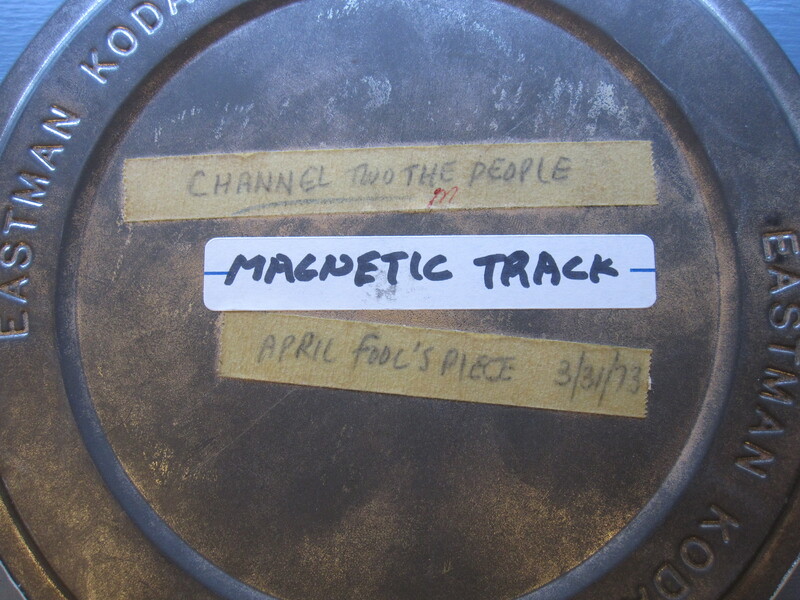 This entry was posted in Archivists' pick and tagged News Film on March 24, 2015 by conservator3.